Muffins Made with Ice Cream? Say It Ain’t So! This is a recipe that I picked out of the local paper the San Antonio Express-News. 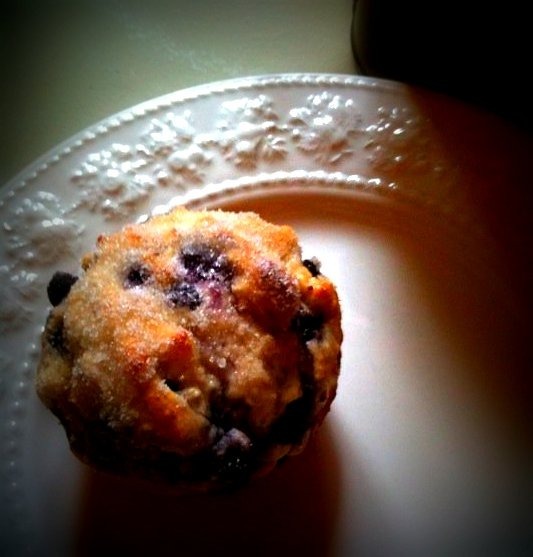 I don’t happen to have a favorite muffin recipe, but this does the trick for when my family is craving muffin goodness. Heat oven to 375 degrees. Grease an 8-cup muffin tin. In medium bowl, mix ice cream and flour well. Gently fold blueberries into mixture. Divide batter among muffin cups. Bake 20-25 minutes, until a wooden toothpick inserted into center of muffin comes out clean. Remove from oven and, while hot, brush muffin tops with butter; sprinkle with sugar. Remove form pan immediately. Serve warm.